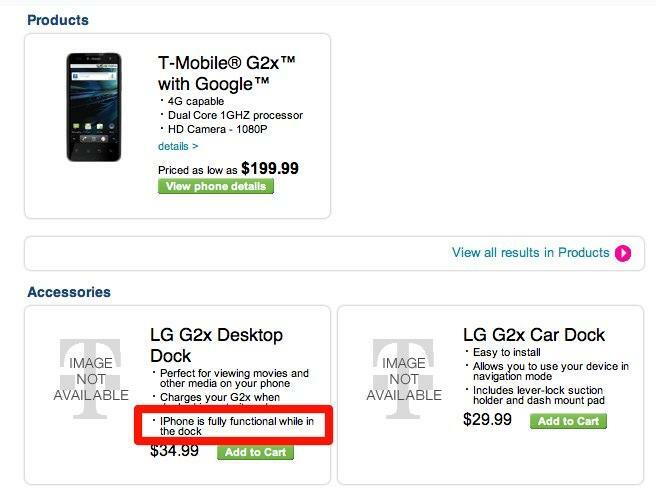 Let’s just call this a little bit of Tuesday fun and point out a little error on the T-Mobile.com accessory page for the G2X. 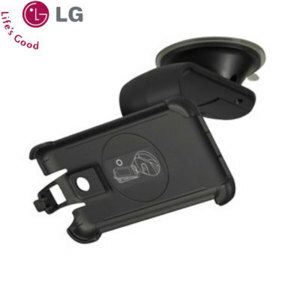 According to the site your iPhone will be fully functional when in the LG G2X Desktop Dock. All in good fun and surely an error that will fixed as soon as it’s pointed out on this here website of ours. Still, it’s just a little bit of Tuesday fun as we point out little bits of silliness today since we’re in a silly mood. Happy Tuesday! Nice to see a dock for the car that doesn’t use my Bluetooth radio like the N1 dock. I dunno what that is but it LOOKS like an unlocked iPhone running on T-Mobile with an Ad of the iP4. That’s what my eyes see at least. Anyone know what these two docks look like? I’d be interested in the car dock if it’s a nice setup and easily connects the power to the phone. I’m looking for one with power built in, too. Brodit has one for the EU 2x, but it’s not cheap. Learn to write man! This article gives me a headache reading it. Is this an error or omission??? I have used dumb phone lines to add iPhones without getting into data plan pergatory. The contracts only seem to affect the voice service and data plan requirements are based on the current phone regardless of where you purchase it. AT&T doesn’t even do this.